Schwalbe One is a remarkable new clincher tyre from Schwalbe. The fastest and most reliable competition tyre Schwalbe has ever produced, Schwalbe One is made in a seperate facility that's built exclusively to produce this top of the range tyre. 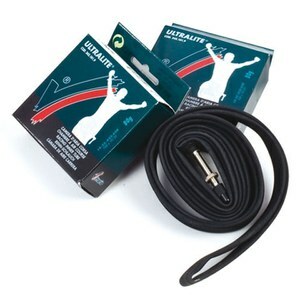 It's protected cut-resistant high-tech fibre for an excellent level of puncture resistance. 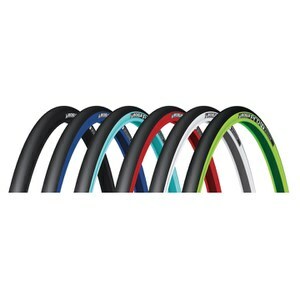 This is combined with SnakeSkin sidewall protection to offer Schwalbe's Double Defense Technology. Made from aDouble Defense Technology. Made from a double density compound, the One is suited for the specific demands of road use. - A.D. Purchased; but not used yet! Used Schwalbe1's in the passed and liked them. Hope the oem version live up to expectations? BEWARE!!! 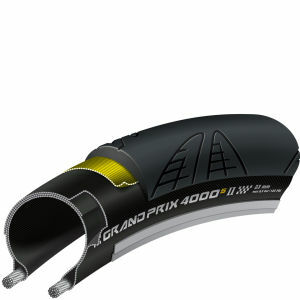 Ordered these tyres they are printed 25mm, but I think the reason these tyres are being sold at a discounted price is they are actually 23mm tyres, exactly the same size as my old 23mm tyres. PROBIKE kits response is they are within the Manufactures tolerance ! Buy if your happy with 23mm tyres otherwise avoid. In the 20 years I've been riding and racing, I can say with conviction that these these tyres and the Continental GP's are the best all round training/racing tyre at the moment. I've used most tyres out there. 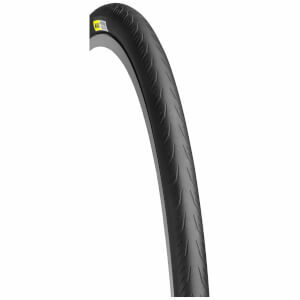 The Schwalbe's are fast rolling, offer good longevity, grip well in every condition, and don't seem to attract as many flats as others I've used. I wipe my tyres/wheels down with a shamois after every ride, and tend to pick bits of glass out rather than have them go through to cause a puncture. So the puncture resistant material must be working to some degree. I now use the 28's because I have a set of the latest generation of wider rim Mavic carbon Pro's. I recommend you keep to 25's if you're using older style standard rims. the 28's on the newer rims are beautiful rolling with a comfortable ride using only 60-80psi instead of 80-100psi with the 25's. But they will bag out on the narrower rims and now be as stable in my opinion. Ask your local dealer if in doubt with your rims. But at these prices, they're the prime pick of the two best all round tyres on the market. As usual, product, service and support second to none. Thanks again. I am looking forward to using these tyres and if they prove to be as reliable as the ones they are replacing I will be very pleased. The last pair of Schwalbe one tyres covered 2800 miles with 1 puncture in the rear. They were not completely worn out when I replaced them but the rear had a few small cuts. As I was competing in a sportive I thought it prudent to change them. The currant ones have covered 2000 trouble free miles. These tyres are easy to fit, roll and grip well wet or dry. One satisfied customer.